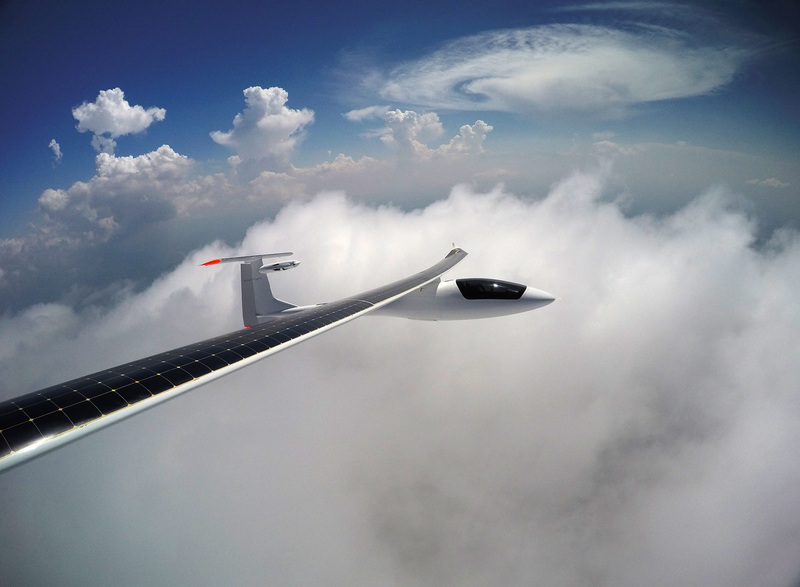 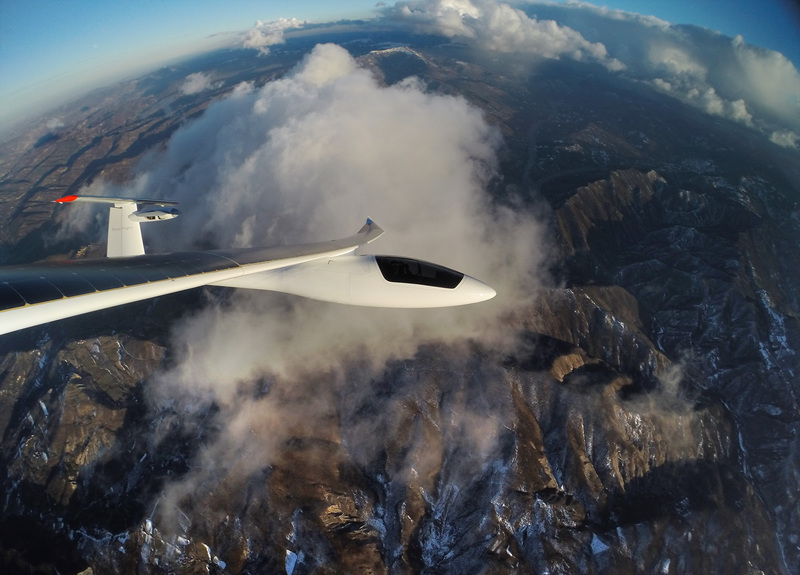 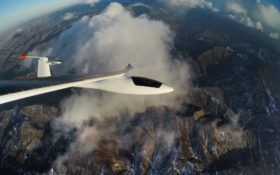 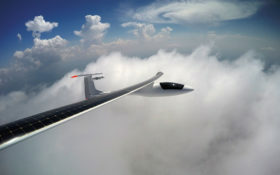 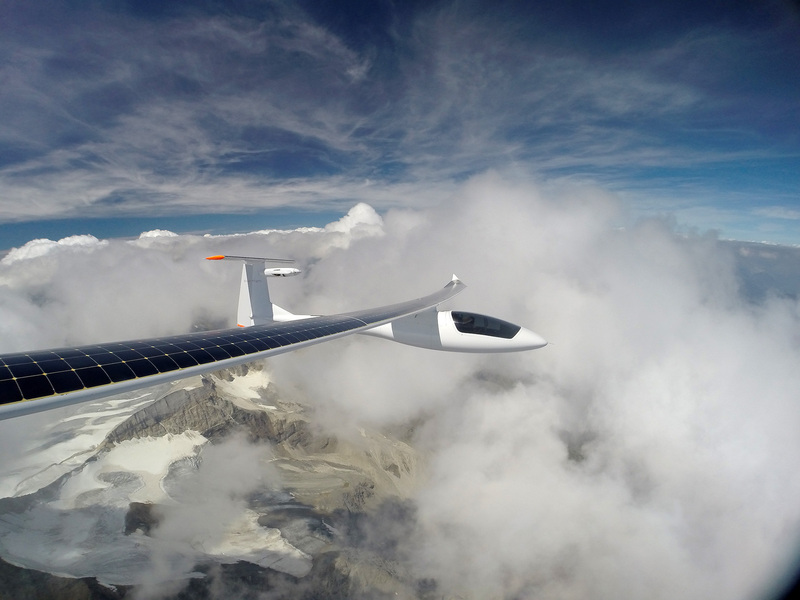 The Sunseeker Duo is the most advanced solar powered airplane in the world. 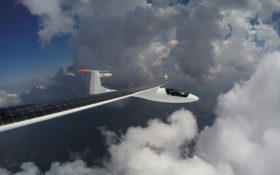 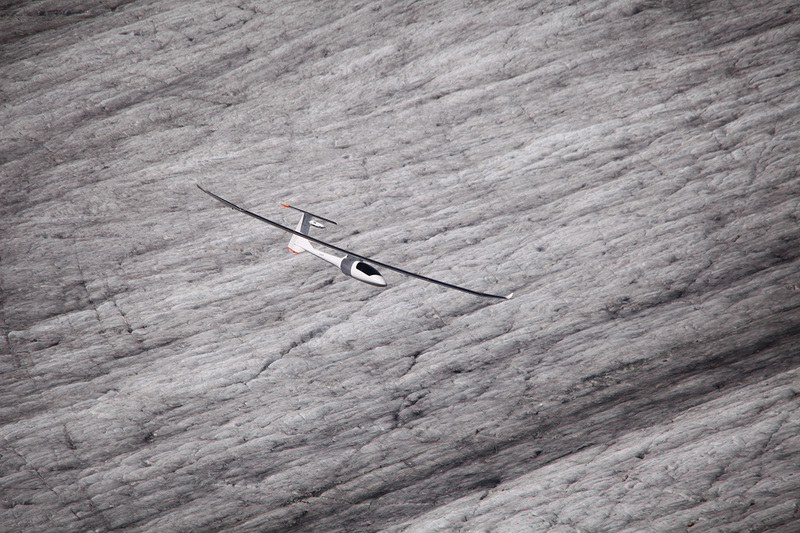 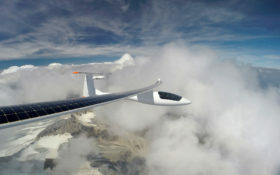 It is Solar Flightʼs third solar powered airplane. 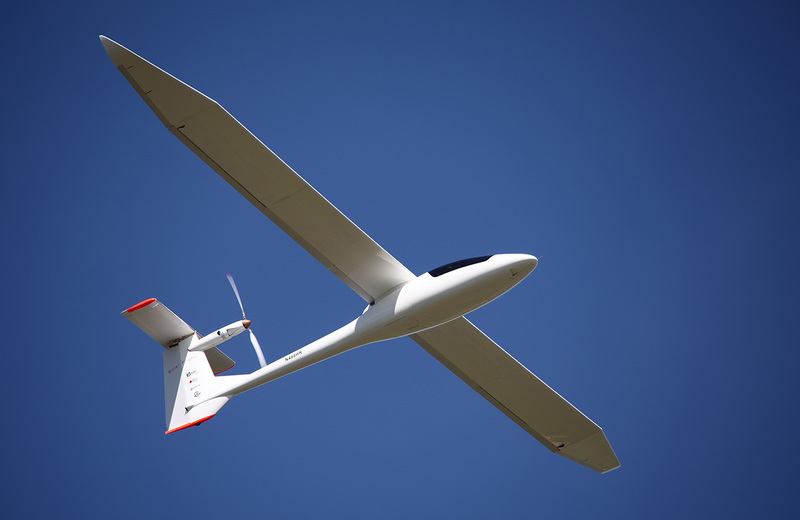 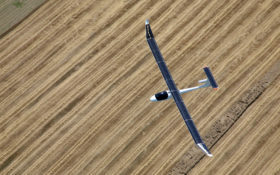 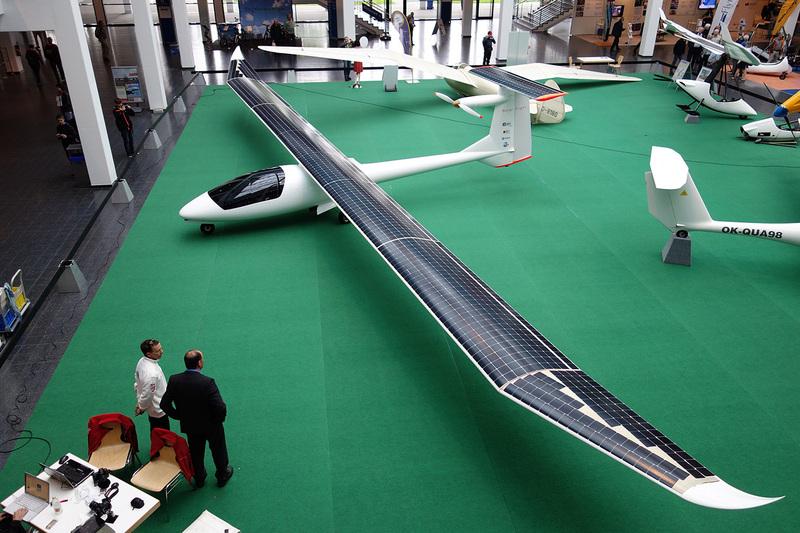 It has a wingspan of 22 meters; an empty weight of 280 kg and 1510 solar cells with 23% eﬃciency. 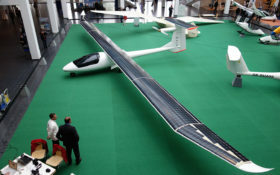 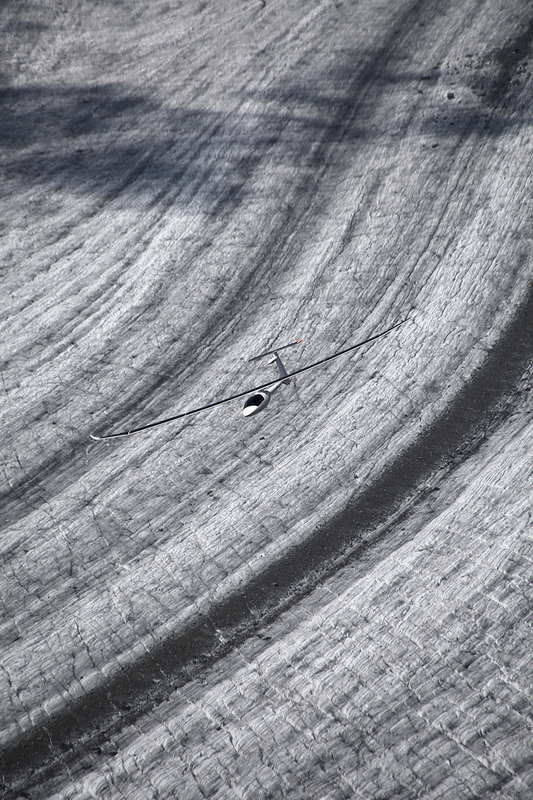 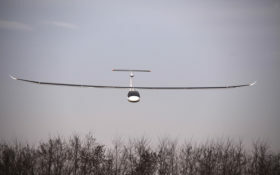 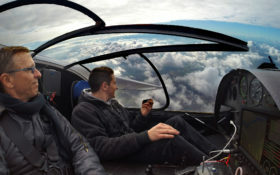 The airplane is able to cruise directly on solar power with two people on board. 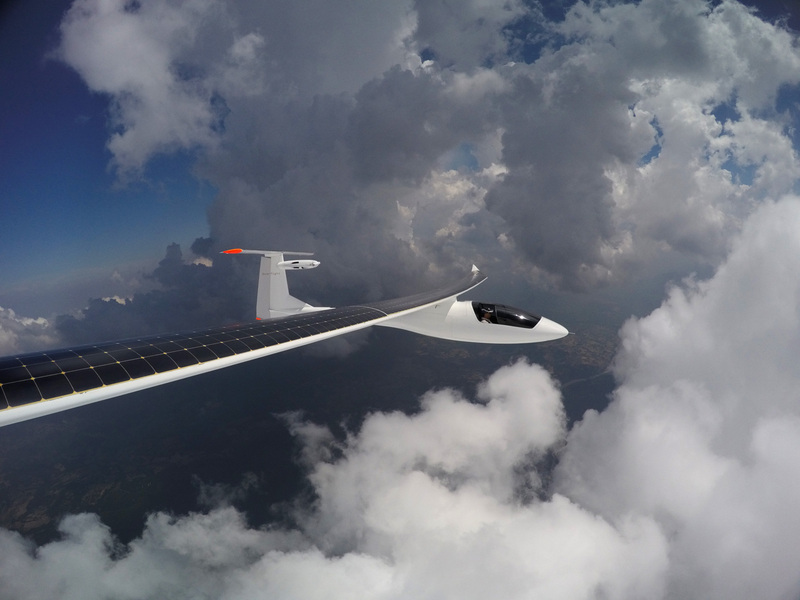 The structure must be incredibly light and aerodynamically efficient to perform well with only the power from integrated solar arrays. 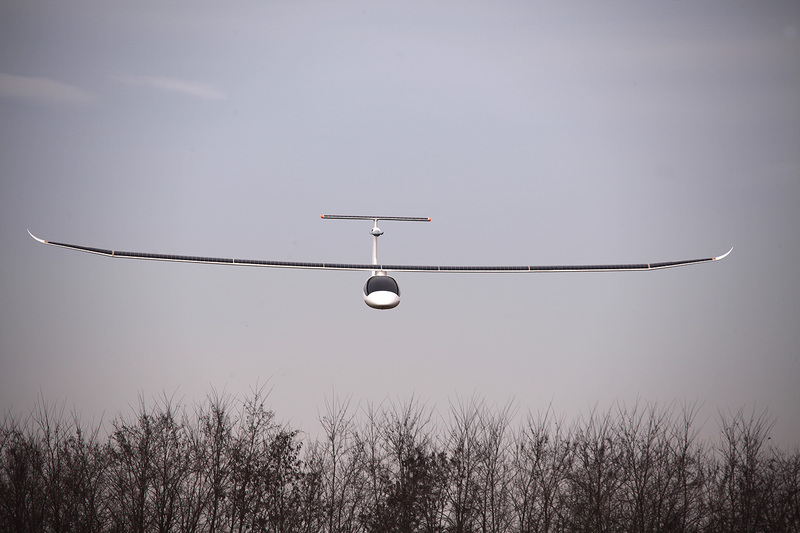 It uses a battery pack located in the fuselage to store energy harvested from the solar cells which line its wings and tail surfaces. The undercarriage is retractable tricycle gear, fully sprung, with a steerable nose wheel and ensures that the Duo will operate normally at any airport in the world . 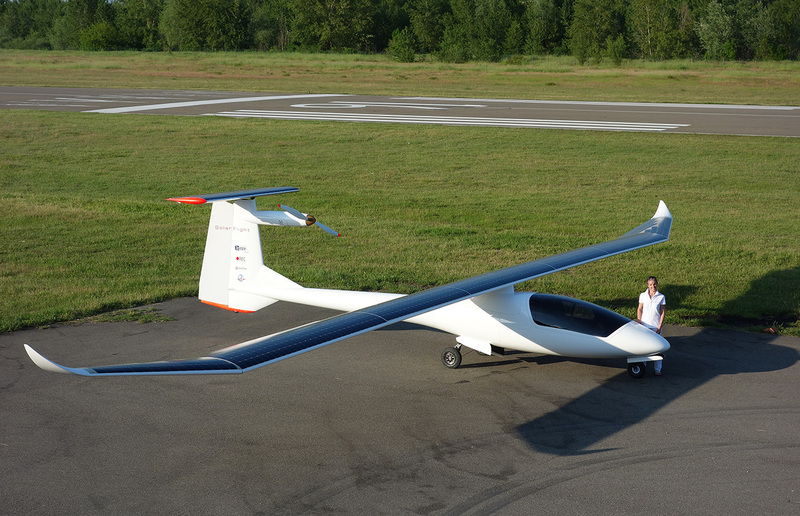 The folding wings give the airplane a hanger footprint no larger than a conventional light plane. 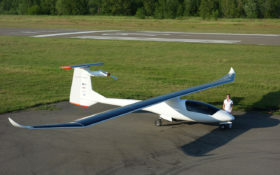 If necessary, the Sunseeker Duo can also be disassembled and packed into a trailer. 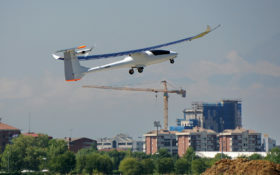 First flown under power in December 2013, it has now logged several hundred hours in the air, and carried more than a few passengers. 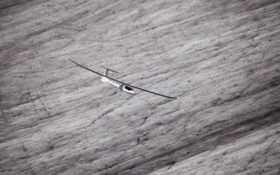 Irena Raymond became the second pilot of the DUO, and has made 10 solo flights in it. 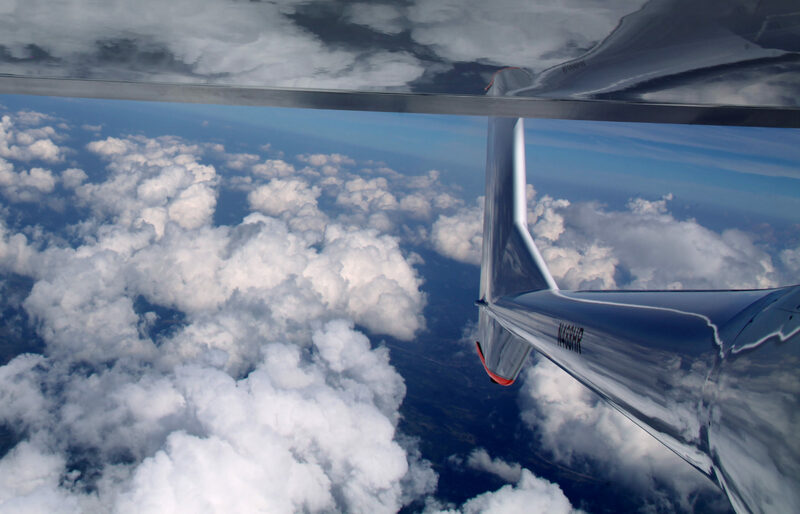 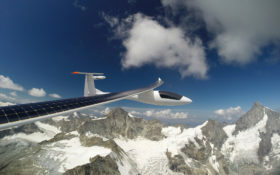 Eric and Irena have flown thousands of miles in the Sunseeker Duo. 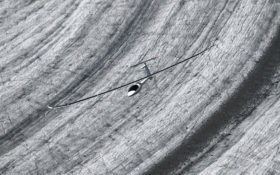 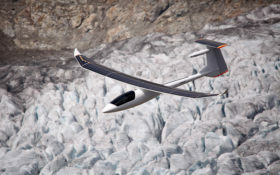 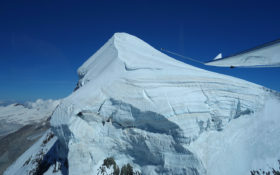 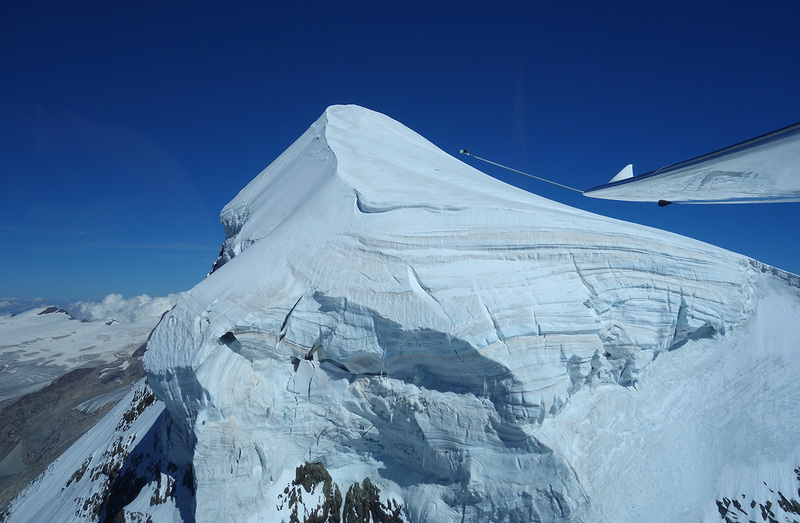 Already in 2014 they made their first cross-country flight in this ship, then in 2015 they decided to repeat Eric’s achievement from 2009, crossing of the Alps with solar power. 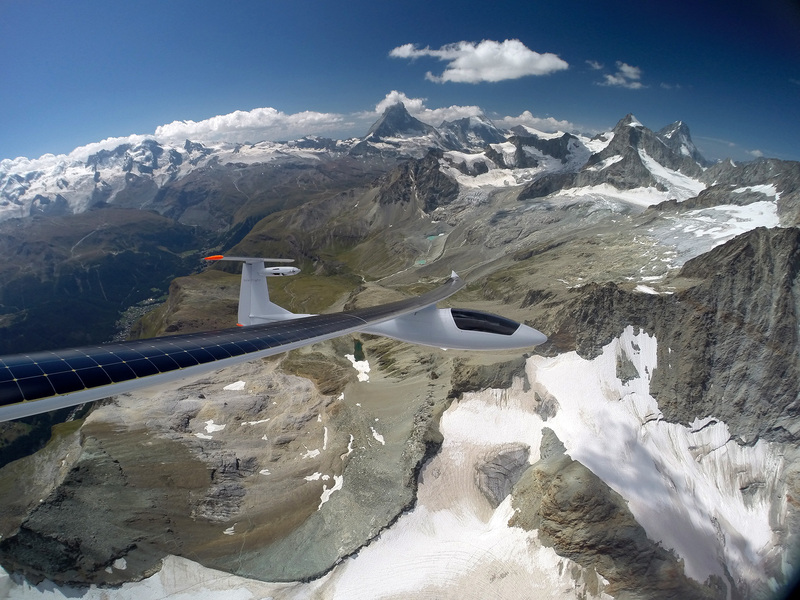 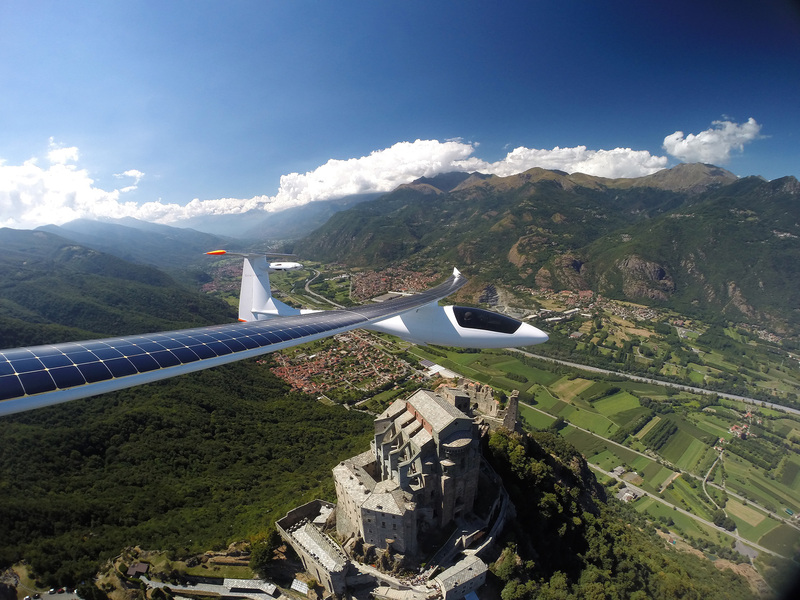 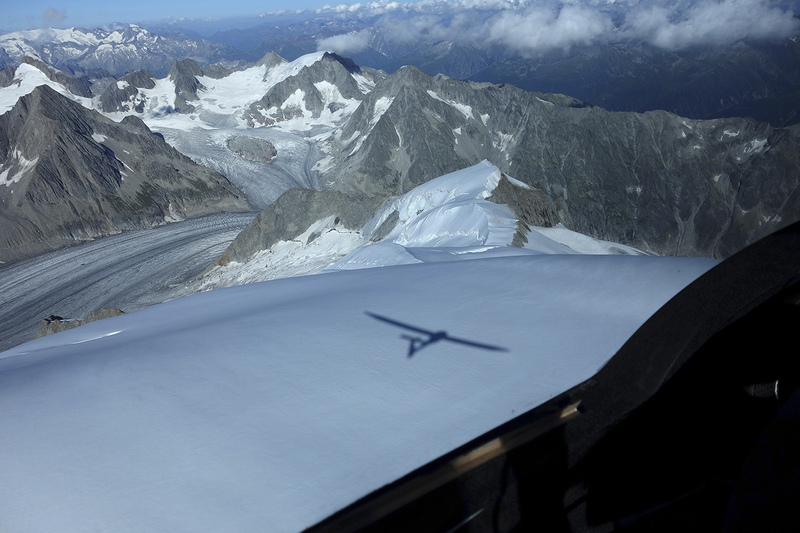 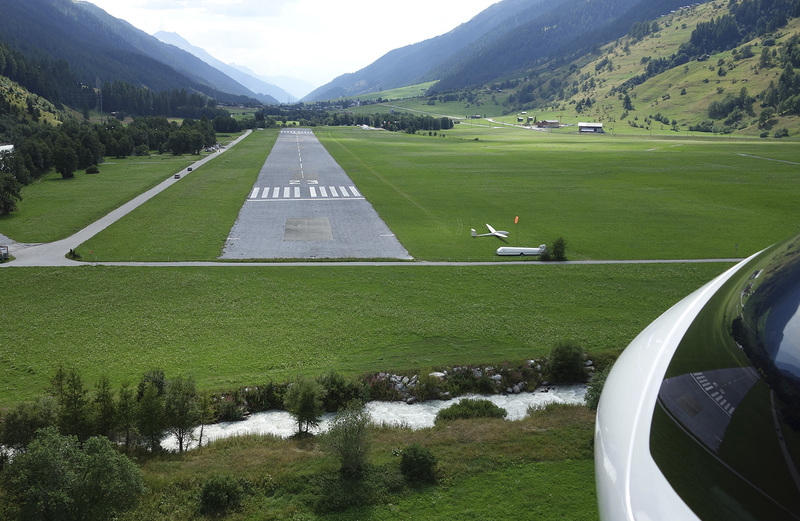 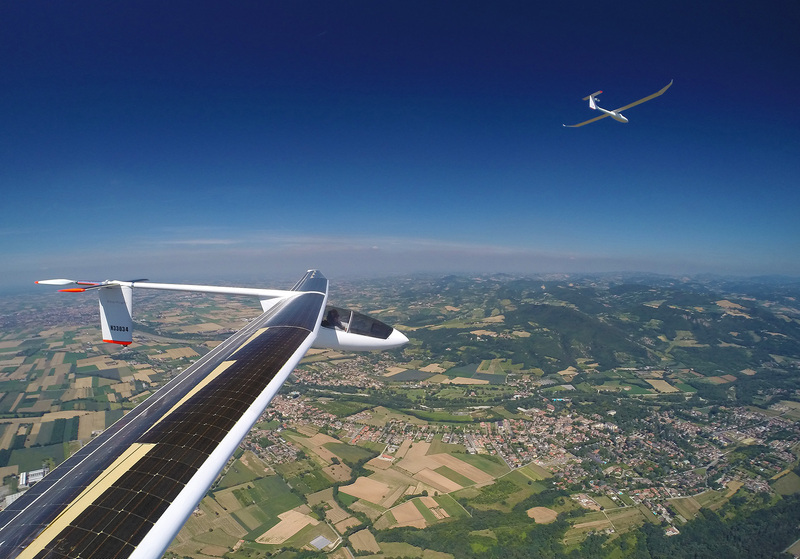 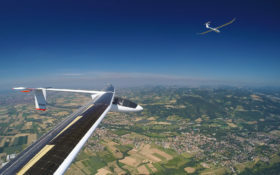 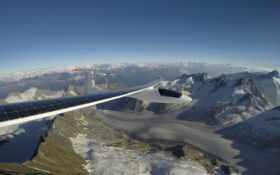 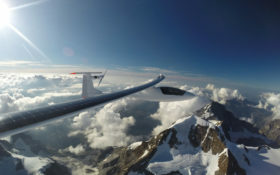 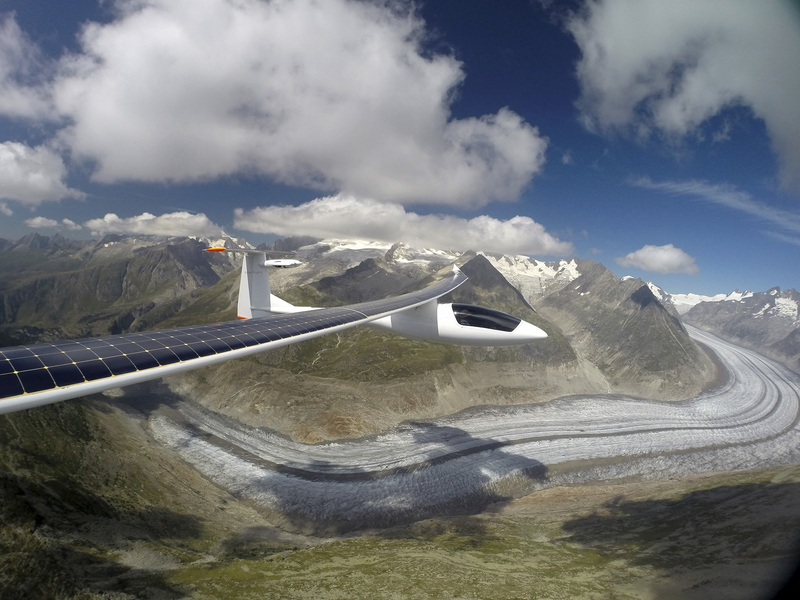 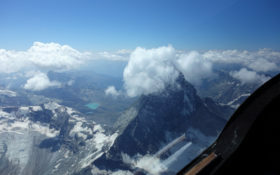 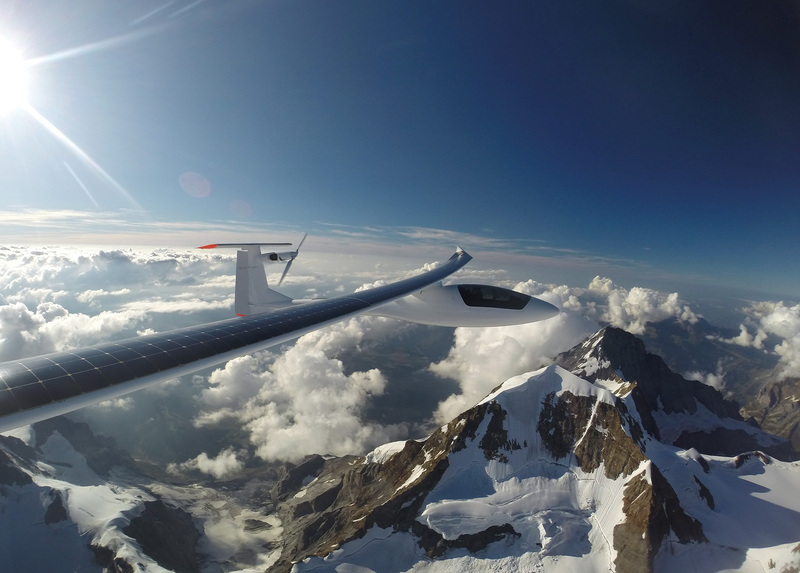 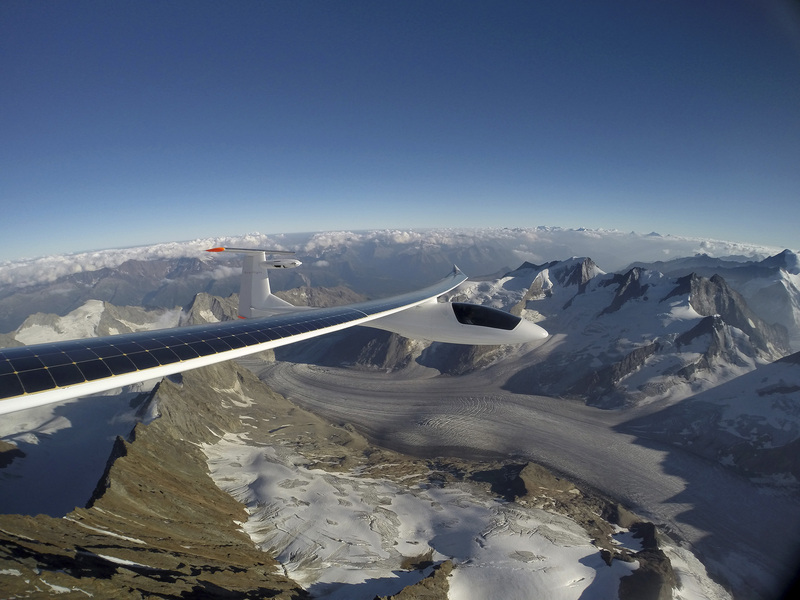 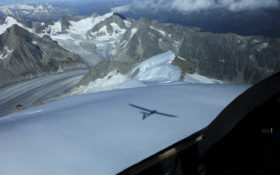 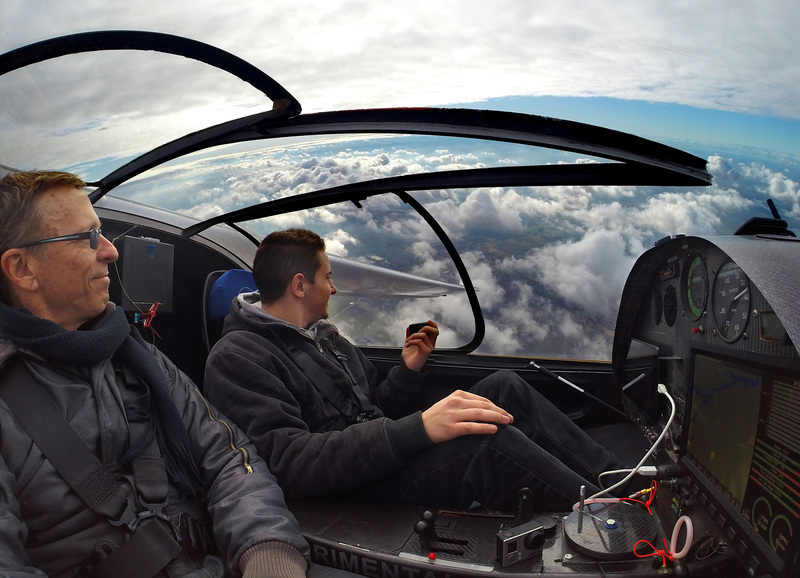 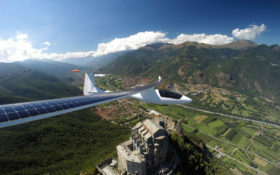 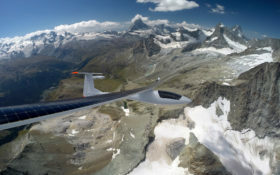 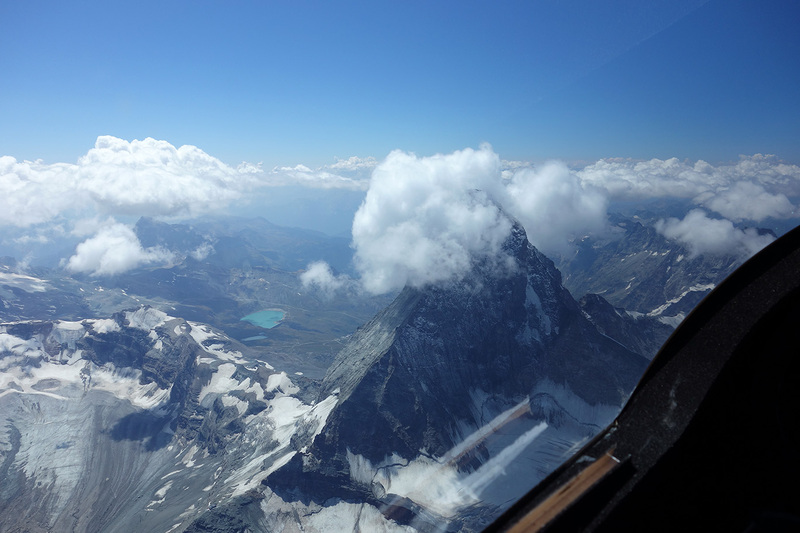 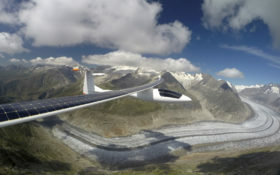 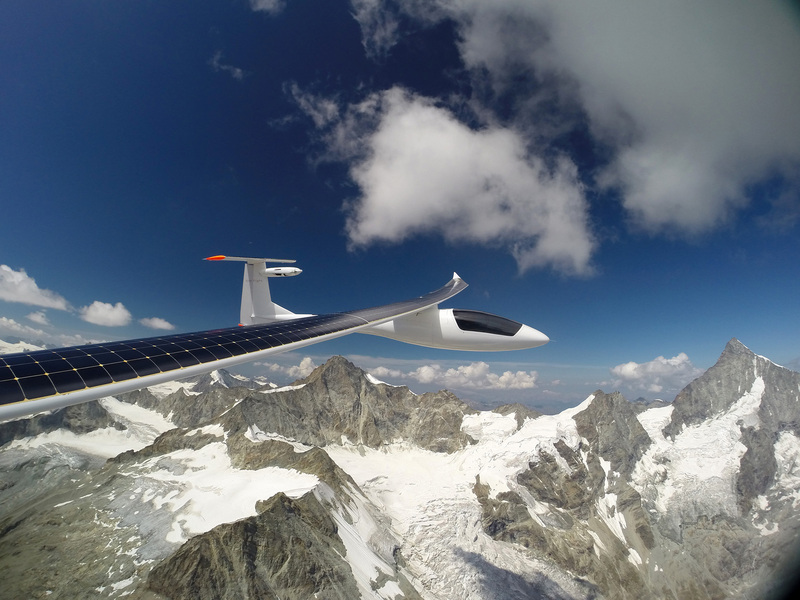 Both flights across the Alps with the Sunseekers mark a significant milestone achievement for solar powered aircraft and further demonstrates the viability of electric vehicles and renewable energy sources.